One of the easiest things you can do as a social media marketer is to optimize your social media profiles. It only takes a few minutes to improve a social media profile, and most of the optimizations can be implemented when you first create the account. Why not make the Facebook story a giant brand billboard? If you aren’t adding branding to your cover photo or background images, you’re missing out on a great opportunity. Let’s start with Facebook. First, you can add Facebook apps that link or showcase other social profiles. The Instagram and YouTube apps can be found in the app store, and Pinterest or Twitter can be added through WooBox. Here’s an example of a page (Kitchen Daily) with a Pinterest, Instagram, and Twitter app activated. 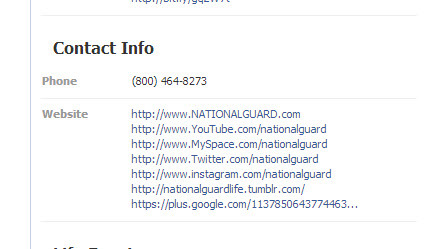 The National Guard added links to all their other social profiles within the Facebook contact information so that users can stay connected with them across the web. Next, you can add a link to your Twitter profile within your Pinterest account. Go to Settings>Social Networks, and log in with your Twitter account. When it’s linked, it will show in the profile like this. Google+ gives you the ability to link your other social profiles in the About>Links section of the profile. Connect everything, especially YouTube. If you’re a blogger, you should also set up Google+ authorship. This will make your name appear under the article title on the search engine results page. More information on Google+ authorship can be found here. One trick on Facebook is to add the site URL in the “about” section under the page description. If you’re page isn’t verified, I highly recommend doing this to convey a sense of authenticity. 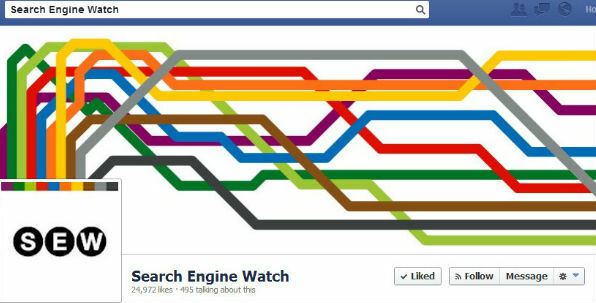 Facebook has way more profile fields than any other platform, so it will take the longest to complete. The other social networks will only take a few minutes to finish. Over the last few years several new fields have been added to Facebook and Google+, so make sure you double check your profile completeness once a quarter. Again, the National Guard offers a great example of a near complete Facebook profile. Daily Finance does a great job with uniformity between social profiles. Here are their Facebook and Twitter profile descriptions. Author’s disclosure: I am currently employed by AOL, which owns Engadget, TechCrunch, Kitchen Daily, Huffington Post, and Daily Finance. I used to do agency work with the National Guard when I worked with LM&O Advertising.